What are peoples opinions on lights - LED or HID? What are peoples opinions and choices of spotlights LED or HID Spotties??? Re: What are peoples opinions on lights - LED or HID? Have you thaught that halogen lights might be just fine AND a hell of a lot cheaper. With an even and balanced lighting system you will see better. Brightness is not everything, and people don't want to hear this and its not just spotlights on cars, it work benches, domestic and commercial work and theatrical lighting design. Our eyes adjust their light sensitivity according to the available light...but relativly slowly, the older we get the slower this tends to happen. What is important is that the light levels are even across the field of vision and there is not large differences in brightness between one state and another. In our case the brightness and pattern of low beam is strictly specified and regulated.....if our driving lights are very much brighter than our low beam...we will suffer low beam blindness when we dip for oncomming traffic. As for the advanteges and drawbacks of the three viable technologies. In my view halogen remains the most viable ane economical technology for headlights and driving lights, it may not be a bright for the wattage as the others, but I think it remains the most servicable. HID is capable of giving more available light and uses arround 25 to 30% of the power of halogen for the same result.....but it involves high voltages...the long term reliability given the high voltages combines with vibration and corrosion will be less.....and HID will be a lot more expensive than halogen. The LED bars are a fantastic flood light and a medium range spot light. HIDs offer a great spot light and a medium range flood. Most in our club run both, a light bar and a set of HIDs and it nreally is the best of both worlds. If I had to chose one I would chose the LED bar in a spot/flood combo over a set of HIDs. We've got HID spotties and a 22" LED bar up the front of the 76. In my opinion that's the best combination ever. The HID's will give you the distance whilst the LED bar will light up everything in front of you. The LED works great as a flood light the sides of the road/track are well lit up. What he said, turns day into night. Yes mate you can. All spotlights can be upgraded at a later date pretty easily with a HID kit. For those people that have both LED light bar and HID spots. I have a spot and spread HID 75W Hella rallye 4000. Am looking at changing the spread for another spot and putting a light bar on. What do you guys recommend for the reflector configuration on the light bar, spot and flood or all flood? Would you go single row 10W LED or 5w double row? do you guys know anything about the difference between cree and osram LED's? just a bit confused about the different technologies out there that's all. 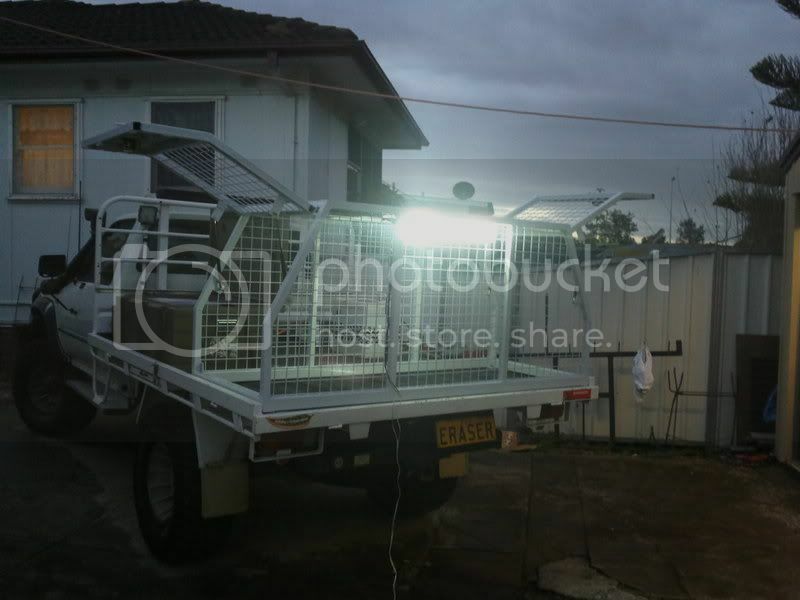 Anyone head of the projector type light bars like on hidlighting.com.au website. 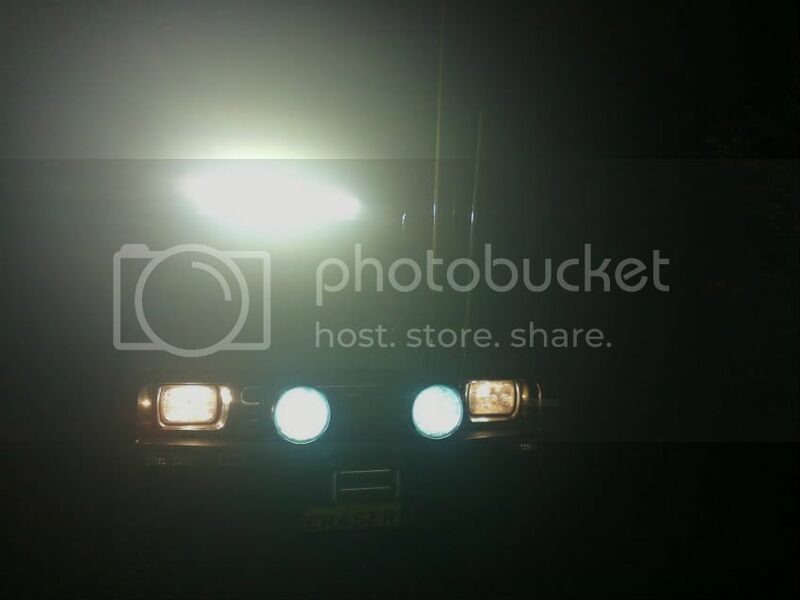 What do you guys think of those lightbars on hidlighting.com.au? and on the ebay lightbars?